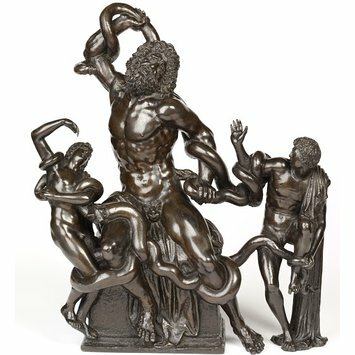 This group depicts Laocoon and his sons being killed by serpents. Laocoon was a Trojan priest who warned the Trojans against bringing the wooden horse of the Greeks into their city. By interfering with the natural course of events he incurred the wrath of the gods, who sent sea-serpents to kill him and his two sons. In 1506 the antique marble group Laocoon and His Sons was discovered in Rome and was immediately celebrated for its technical mastery and for the intense emotion it conveyed. Artists took inspiration from the group and produced their own versions in various forms. The original antique marble group is in the Vatican Museums, in Rome. 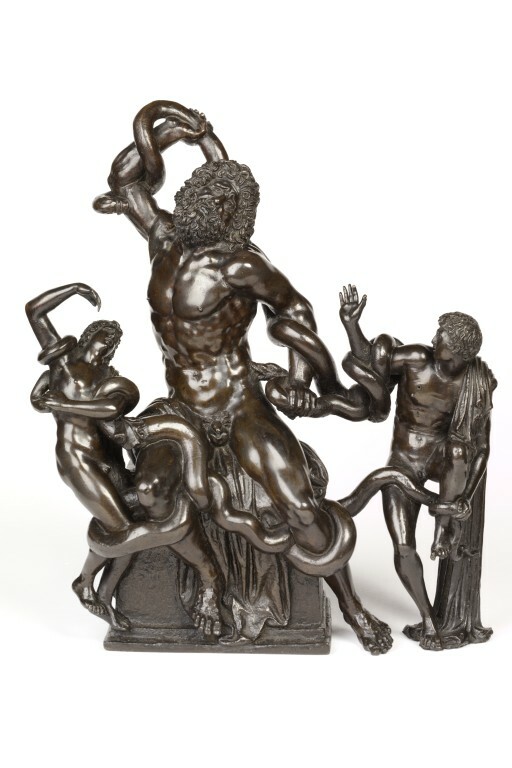 Bronze group depicting Laocoon and his sons, after the antique. 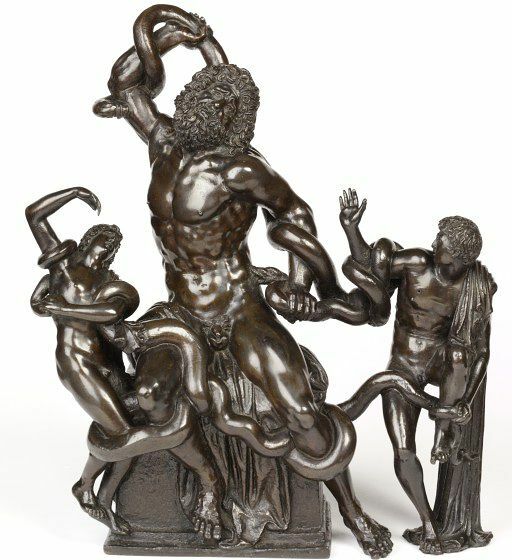 Laocoon, seated on a square pedestal between his two sons, attacked by the serpents. Stiegemann, Christoph, Wunder Roms Im Blick des Nordens von der Antike bis zur Gegenwart, exh. cat., 2017, pp.421-422, cat. 89.